Wondering what’s on the NNAT3® (NNAT-2®) test? There are many NNAT3 practice questions third grade students have to know. Don’t worry; you’re not alone in that boat. Many parents of children in elementary school will find their children needing to get ready for this test, often on short notice. Lots of parents find themselves scrambling to find out what’s on the test and how to best prepare their little ones. The good news is that there are lots of resources out there available for the NNAT test for third grade. TestingMom.com has thousands upon thousands of practice questions for the test that you can download and print. We also have interactive online games that help your child build the underlying skills that they need to do well on the exam. Below are a few examples of practice questions for the NNAT test for third grade from TestingMom.com. These are just a few of the thousands of practice questions that you’ll find on our site. Look at the squares on top. They go together in a certain way. 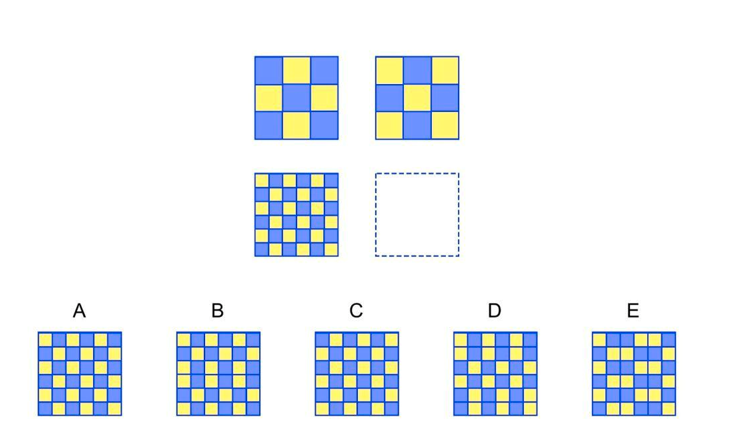 Choose the square among the answer choices that goes in the empty space because it belongs with the square(s) on the bottom the same way the squares on top belong together. Look at the pattern on top. A piece has been taken out of it. Choose the piece below the pattern that goes where the question mark is in order to complete the pattern. The first step is to familiarize yourself with what’s on the test. The NNAT3 test for the third grade is a nonverbal test. This means that instead of relying on words, the questions incorporate shapes and figures. The test doesn’t measure what your child has learned in school; rather, it measures his or her reasoning abilities. This is good in that it means your child’s schooling won’t have as large of an impact on their ability to do well on the exam. But this also means that you’ll need to familiarize your child with the skills they’ll need to do well on the test, since they may not have encountered them very much. The NNAT test for third grade is made up of 48 questions and takes about 30 minutes to complete. The test can be administered either on computer or by paper and pencil. 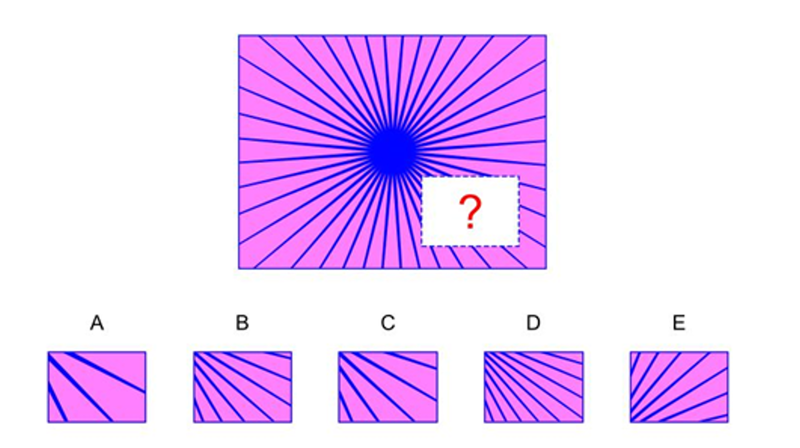 The questions are made up of yellow and blue images. Children who take the test are given two to four subtests to complete. I love teaching my child how to succeed thier nnat3 level d learning. Thank you for a practice session for my child to succeed on the nnat testing. You made my child a gifted and talented student. Thank you. If i were the president i would give you the noble prize. Hip hip hooray, hip hip hooray, hip hip hooray! You helped my child A LOT.